Steve’s venture capital investments over the last 32 years have spanned a broad range of technologies and markets, from software to communications technology to life science. Steve serves as an advisor, mentor and board member for companies, typically beginning at the concept or seed stage. His primary focus with young companies is helping them find novel positioning, marketing, strategy and channel approaches, as well as unique use-cases for innovative technology. Steve is Chairman of the Board at Alder Biopharmaceuticals (ALDR) and is a board member at Dataminr, Arterys and several stealth projects. He has served on the board of a large number of private and public companies, usually as a founding board member. Steve was the founding board member at Citrix Systems ( CTXS) from its incubation in1989 until 2015, when it was at a revenue level over $3Billion. Since 2008, Steve has been investing in new projects on a personal basis. 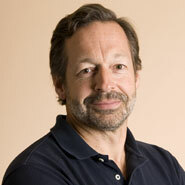 Steve currently serves as a Trustee of the Crystal Springs Uplands School, as a member of the Stanford University School of Humanities & Sciences Advisory Board, as an advisor to the Stanford University School of Education Center for Education Policy Analysis (CEPA) and as a member of the Board of The Riekes Center. Previously, Steve served on the Investment Committee of the Board of Trustees at Cal Tech and the Stanford University Graduate School of Business Trust.